At the age of 16, Dwayne Betts held a gun in his hands for the first time and carjacked a man with a friend. He was charged as an adult and sentenced to nine years in prison - all for $10 and two hours of joyriding. By the age of 18, Dwayne was shuffled between three prisons, serving time in the adult population as a juvenile in the worst prisons in the state of Virginia. During his sentencing, as he stood in the courtroom, he was told by the judge, “I don’t have any illusion that the penitentiary is going to help you, but you can get something out of it if you want to.” That he did. Today, Dwayne is an accomplished and award winning poet, author, the founder of Young Men Read, a book club for young boys, as well as a vital and influential juvenile justice activist. 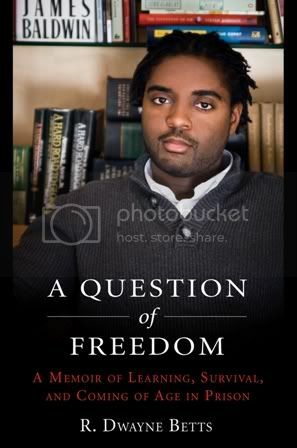 In A Question of Freedom: A Memoir of Survival, Learning, and Coming of Age In Prison, Dwayne uses vivid detail and imagery to describe the violence that surrounded him daily, his fellow inmates that he met during his time in prison and their struggles, the correctional officers who knew him as nothing but a statistic and at times treated him as such. Throughout the book, Dwayne details long periods of time spent in solitary confinement and how those times helped to propel his love of reading. While in prison, Dwayne read countless books, wrote poetry, taught himself Spanish, and worked as a librarian, law clerk and a GED tutor. In your role as spokesperson for the Campaign for Youth Justice and as an influential juvenile justice advocate, what are the current issues for youth, particularly African American youth, and their involvement in the juvenile justice system? What is being done to address these issues? For a young black boy reading your book, what do you want him to take away from it? 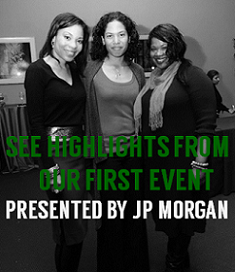 How can youth serving organizations use your book in program activities with young males? “In my book I bring up a myriad of issues, I mention a number of writers, a number of story lines that made up my life. Anyone can take this and create a reading list, they can use the reading guide that has been developed for this book, and they can move to in depth conversations. Right now, the book is being used as the starting point for an essay contest. In addition to Dwayne’s advocacy work, he teaches inner city youth at the DC Creative Writing Workshop in Washington, D.C. A graduate of Prince George’s Community College in Maryland (his hometown) and the University of Maryland, he has been awarded the Holden Fellowship from Warren Wilson College, and his book of poems, Shahid Reads His Own Palm will be published in May 2010. If you’re in the Washington, D.C. area, Dwayne will be hosting a book signing at Bus Boys & Poets, 2021 14th Street, NW, D.C., August 10th at 6pm. Upcoming book signing cities include Atlanta; Oak Park, IL; Asheville, NC; and Richmond, VA. Visit his website at www.rdwaynebetts.com for more cities and information. 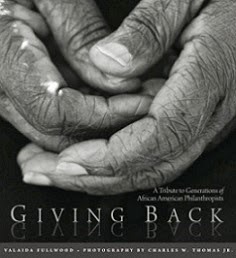 If you would like to win a copy of Dwayne’s book, send an email to blackgivesback[at]gmail.com with “book giveaway” in the subject line. The deadline to enter is TODAY!